We are just a couple days away from BloomingtonGold 2018 at the Indianapolis Motor Speedway. This will be our 3rd year as a sponsor and we could not be more excited to be there. 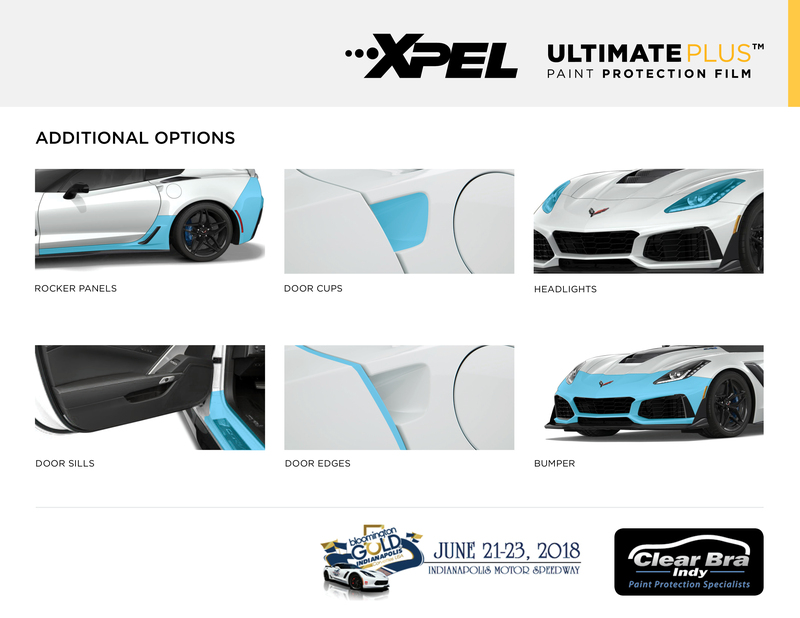 As with the previous 2 years, we are doing on-site XPEL ULTIMATE PLUS installations with the help of local amazing installer, Clear Bra Indy. We will have the capability to cut kits on-site with the help of a plotter. This means that we will be wrapping edges and removing emblems to make for a cleaner installation. 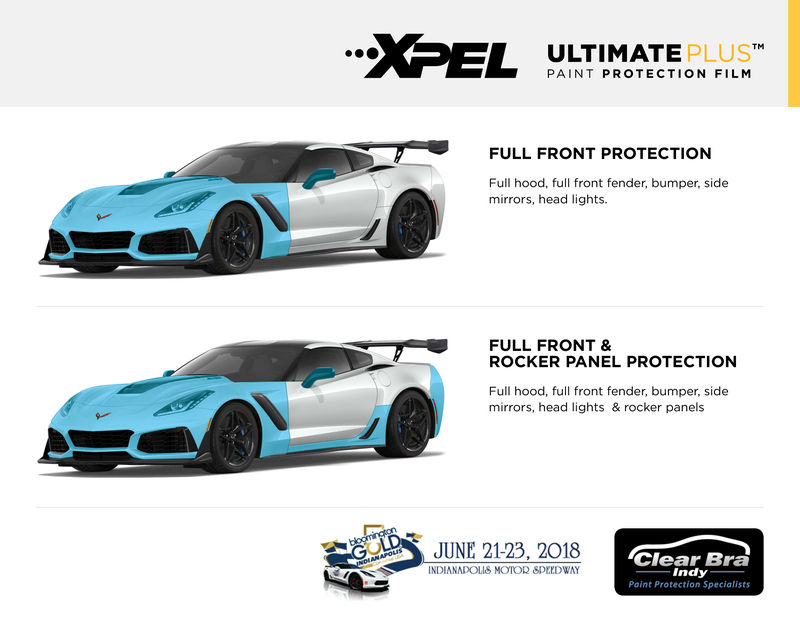 Common protection for any Corvette includes protecting the entire front end and rocker panels. This includes the full hood, full front fenders, front bumper, side mirrors, headlights (usually), and rocker panel coverage including behind the rear wheel. To see a menu of what we're offering, check out the images below. The early days are filling up so be sure to contact us right away.